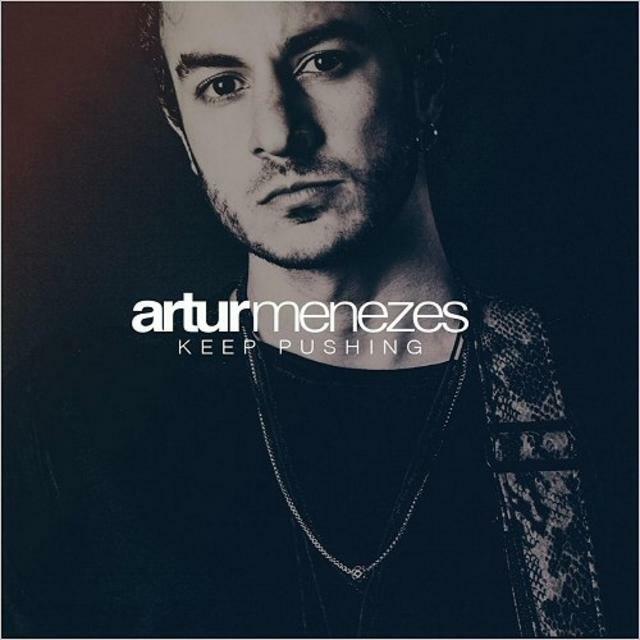 Winner of the Gibson/Albert King Award for Best Guitarist and third-place winner in the Band Category at the 2018 International Blues Challenge, Artur Menezes is a high-octane guitarist whose passion and emotion electrify crowds. Based in Los Angeles, the Brazilian artist is releasing his fourth album, "Keep Pushing." Artur plays traditional blues with mastery and respect, augmenting his sound with modern blues and creative applications of other genres. He was a lead educator about blues in his native Brazil, where he co-founded the Casa De Blues society, gave TED talks on the music, and helped organize weekly blues concerts. He enhanced his knowledge and skill during stints living in Chicago, where he jammed with the likes of Buddy Guy, John Primer and Linsey Alexander, among others, in legendary clubs including Kingston Mines, Smokey Daddy and Katheria’s. In Brazil, Artur stood at the top of the blues music scene, headlining festivals, sharing the stage with Joe Satriani for a crowd of 20,000, and opening Buddy Guy's South American 2012 tour in Brazil. Soon his fame spread through the Latin world, with tours of Mexico and Argentina. Europe followed, with a headlining spot at Estonia’s August Blues Festival and a tour of the U.K. In the U.S., Artur has opened for Grammy-winning Bobby Rush in L.A. and tied for top honors among more than 2000 artists from around the world competing for a place to play with Eric Clapton at the Crossroads Guitar Festival, one of the world’s largest guitar festivals. Most recently, he was featured on JITV HQ Los Angeles’s Jam in the Van; other featured artists have included Gary Clark Jr. and Marcus King.